If you are visiting the wildlife reserves of India for the first time, we assure that you will fall in love with them at the first instance. Well! We do not have much to say if you are not a first timer since your desire to spend another vacation in the captivating jungles of the amazing country itself explains the whole story. Of course! This is what everyone visits jungles for. India houses 70% of the world’s Tiger population, so the best chances of being able to spot the famed wildcat are nowhere else but in India. Moreover, Tigers are not the only wild animals that you can see. There are Leopards in Ranthambore, Panthers in Nagarhole, Asiatic Lions in Gir, one-horned Rhinos in Kaziranga, elephants in Periyar and Swamp Deers in Kanha. Not only the wildlife but the avian life is also at its best in India making it a birdwatchers’ paradise. Since the country has a warmer climate compared to the western countries, bountiful birds find their permanent as well as temporary home in the groves of India. All of the national reserves have a surprisingly rich inhabitation of the birds too! 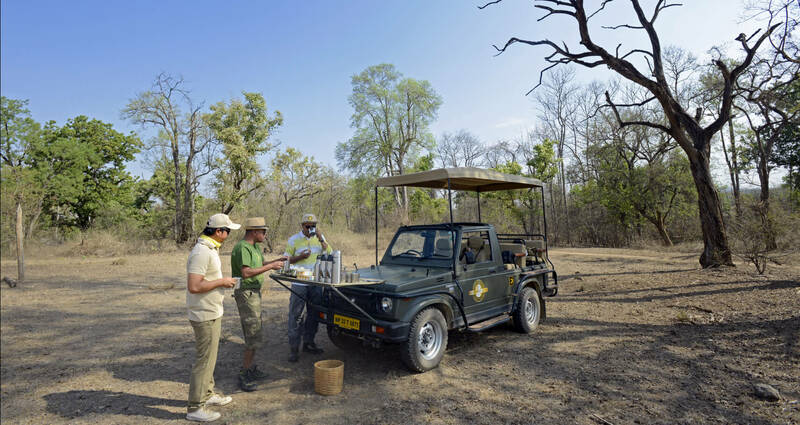 All the lodges around wildlife sanctuaries engage trained naturalists who do not only have the complete knowledge of the park but are also seasoned at tricks to spot the wilds. These deft people facilitate all your game drives and take your wildlife and animal spotting experience to the next level. India houses over 500 wildlife sanctuaries out of which nearly 100 are national reserves! A whopping number, isn’t it? So that means you have ample options and can choose to visit the wildlife reserve depending upon the kind of wilderness experience you have been fancying. Moreover, we offer complete customization of your holiday so that it turns out perfectly the way you have been dreaming of it! There are teeming luxury resorts and lodges around the national reserves in India. You can choose from among plethora of options ranging from luxury tented camps, treehouses and villas to houseboats. Choose to stay in the ones that best meet your desires. The supreme services and commendable hospitality of these accommodations make your stays even more worthwhile. Most of the national reserves in the country are surrounded by countryside, hence an amazing chance to visit another inviting part of the country and witness what rural India truly means. Meet the villagers, interact with them, relish their authentic culinary preparations, learn their distinct arts, shop from their markets or watch their folk music and dance performances. This could undoubtedly be another lovable part of your journey to India. While you are planning a holiday to the vibrant jungles of India, this vacation can be an excellent opportunity to stop over at some historically, culturally and naturally rich cities of the country. The itineraries offered by us take you to some of the worth visiting urbans of the country such as Agra, Delhi, Mumbai, Kochi and the like. There are many more that can be included, admirable stations that can be added to or replaced in your itinerary upon your request.